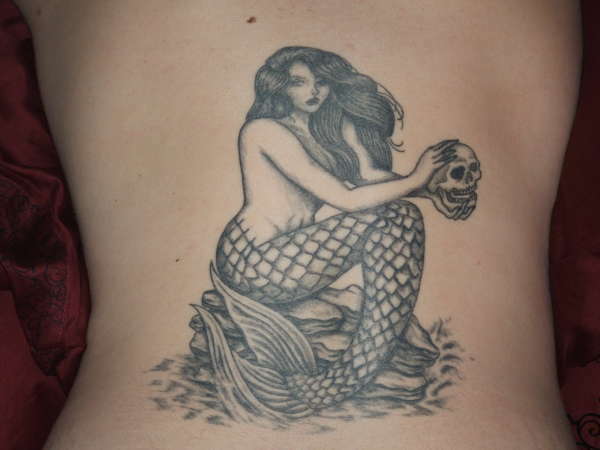 This is my mermaid tattoo on my back. It was done by Lacey at Inkfluence in Lubbock, Texas. Each and every detail symbolizes parts of my life. It's my 3rd tattoo. Very Nice, makes you think..
nice! well copied from the original art!